Alright. So you have probably already seen the latest tweet that head of Eidos Montreal studios, David Anfossi, had posted. As well, as the poor apologize that he followed after. To be honest, I am disappointed in that move. I love the work of both studios. However, that does not change the fact that it was a terrible move not just from his professional standpoint, but for a game that’s not even out yet. You are probably thinking I am being paid to give flowery examples for this Tomb Raider reboot. This is solely my opinion and my experience with the games. I thoroughly disagree with the reply that David Anfossi did. In fact, I don’t fully accept the apology that he made afterward. Blaming his language barrier is no excuse. My native language is Spanish. I am Mexican and in no way do I ever confuse the word “fake” to mean something else. It would be appreciated if he would delve into what he meant with “fake” because a simple apology tweet is not sufficient. Why did you post it in the first place? With that said, let’s get on with why Shadow of The Tomb Raider is a game you should be excited for. This might be probably a bit too early since the game has not even hit shelves yet. Bear with me as I get you my own version of Square Enix’s “Please Be Excited.” Before I head on to specifically why you should be excited for the latest adventure of Lara Croft, I want to point out my experience with the previous installments. This will help you see later on why I am excited about it and why you should too. The very moment the first trailer for the reboot of Tomb Raider was shown back in 2013, I knew it was just a matter of time, I would fall in love with the franchise. 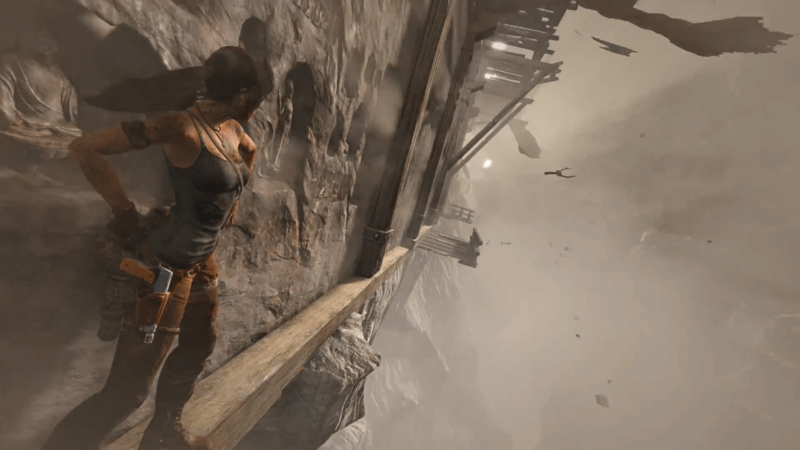 However, after the gameplay trailer was shown, some were concerned that it had lost those classic Tomb Raider elements. Instead, it oriented more towards an action filled combat with some puzzles sprinkled down the road. Lara no longer had that witty and charismatic personality that defined her in the 90’s era. Neither did she posses her acrobatic skills that any acrobatic would be envious about. Instead, she was naive and with almost no skills that resembled the old Lara. The game was being rebooted after the success of the Uncharted series, and it did not help that the combat was so similar. It led to some calling it “an Uncharted clone” or anything that resembled as if Uncharted came first. Yet, this did not bother me at all. I never got to experience the old Lara. I did not have the chance to lock my butler in the refrigerator since I was a baby during those times anyway. To say the least, the old model did seem a bit oversexualized, so that did not help me to get interested in revisiting the original games. So, I was open to this new reiteration of the character. I understood that the purpose of this reboot was to make the main character more relatable as well as to have that resurgence. Lara still wanted to discover what was behind the island that kept them from leaving. Her stubbornness and adventurous spirit were making her move forward. Near the end of the story, you rooted for her because you saw all the obstacles and beats that she had to go through. The cherry on the top was the moment she picked up those dual pistols and barraged the main villain with bullets. It felt glorious. You could explore the island even after you finished the game. You had to craft your weapons into more deadly ones if you wanted to survive. Even as a fan of the Uncharted series, I had to admit, this game offered a bit more freedom to explore than just simply following along the story. Unbeknown back then, It provided a glimpse into what they would offer us in the sequel. Reunited with dual pistols, if only for a brief time. It stumbled, especially with the multiplayer section that they had integrated. It did not fit because this was about the story, Lara’s journey. The competitive multiplayer that was incorporated felt that it was just there to appeal the multiplayer popularity that was surging at the time (and still is). It probably would have worked if the controls and the gameplay did not feel clunky. So, I decided to stick with the best aspect of the game, the single player. After I had completed the game, I went back and played the original games, alongside the ps3 anniversary trilogy. I understood why many fans were disappointed and skeptical about this reboot. 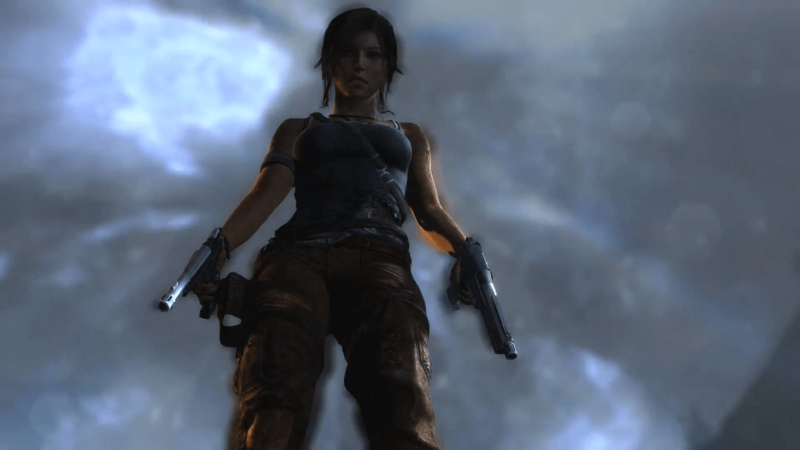 Lara was badass from the very beginning, always carrying her dual pistols to clear her path from a jaguar to a T-Rex. Each level was filled with puzzles to complete. Death traps that you could easily fall into. The games were fun, over the top 3D platformers that I could see why the veering towards a more action-packed game seemed disappointing. Nevertheless, as charismatic as Ms.Lara Croft was back in the day, she was not relatable. 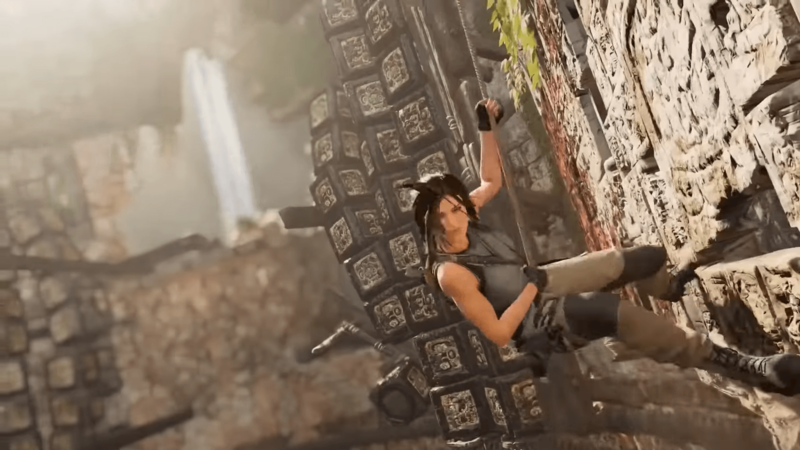 In an interview with Entertainment Weekly, writer Rhianna Pratchett acknowledges that classic Lara’s journeys were more of an “escapism” with the fancy gadgets she had at her disposal. From there, she knew that Lara needed to be written in a more relatable sense. Fast forward two years later, and I was hyped when Square Enix announced the sequel. The graphics were top notch compared to its predecessor. The environment was indeed much bigger and better to explore than the island we were stuck before. You got to explore the tomb of the prophet in Syria. Skip a few weeks, and you are climbing mountains in Siberia, where new tombs awaited. Lara was more confident and definitely better equipped than last time. You delved more into Lara’s personal story as she tried to have something that resembled some proof of immortality. She would clear her father’s name and stop Trinity, the organization that sought the same artifact as she did. Granted, the story was a bit predictable and repetitive. 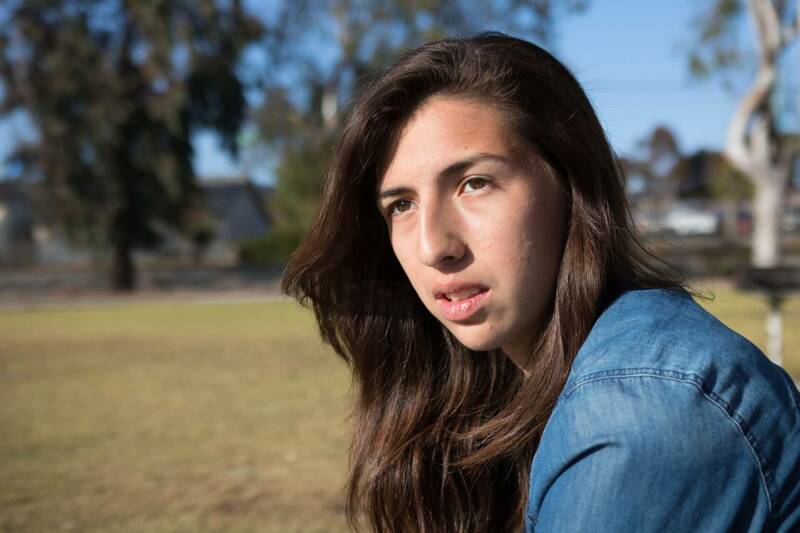 Ana’s betrayal was telegraphed the moment we saw those eyes that looked like she had just smoked some heavy weed. The guy Lara met at the cell looked like Jesus, so he had to be the prophet. However, overall the supporting cast was solid, especially Jonah. Oh poor Jonah, he never seems to get a break. I mean he likes tagging along to Lara’s every “adventure” just to make sure she comes home safe. The most interesting was, of course, Lara’s personal journey. She had to find the artifact not just because she was an archeologist interested in mythical artifacts. It was more. She wanted proof that her father was not insane. The question was, how far would she go? What was the price of her quest? 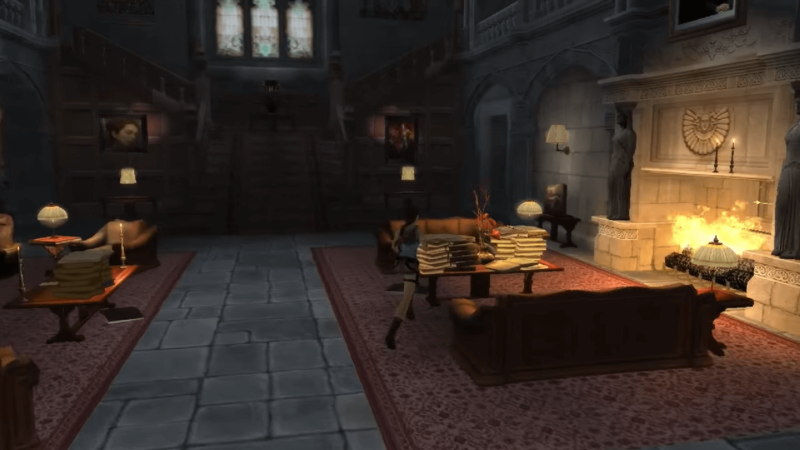 If you had the chance to pick up the 20th anniversary, or the season pass, you get to explore the Croft mansion and find out what happened to her mother. While you couldn’t fully explore it and play around like before, you did find some lovely easter eggs and a more substantial look at Lara’s relationship with her family. 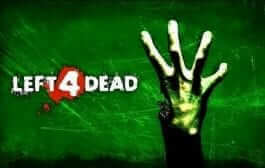 The game had an open-ended conclusion, and it was evident that the third installment was already in the plans. I had placed 50 hours into the game trying to get every nook and cranny that the game had to offer. It felt more of an adventure rather than a gritty survival action game. 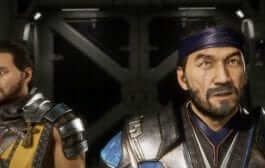 Best of all, they had completely removed the deathmatch-like multiplayer and only integrated online co-op for DLC such as “The Endurance.” I want to point out that the puzzles were better than the last game and there were more to be solved. Alone, the puzzles again did not feel integral to the game, not like the classic ones. 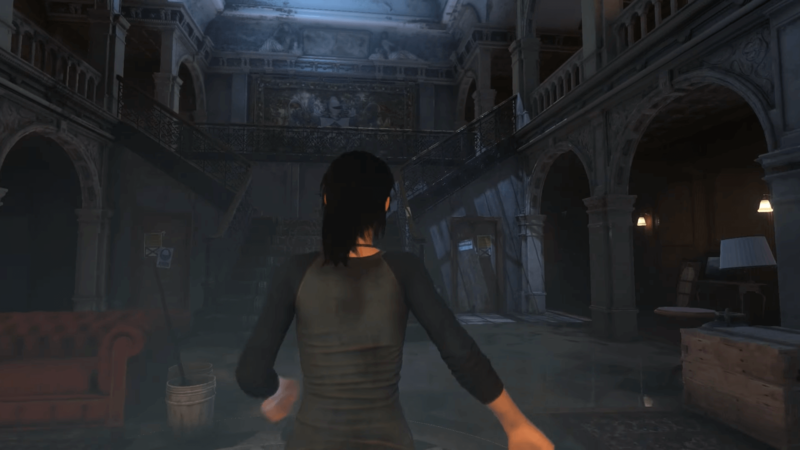 Will the manor look less abandoned in the third game? Now fast forward, three more years and Square Enix finally unveils the last game of Lara finally turning into Tomb Raider. While we are yet to see if Lara turns into the Tomb Raider everyone loves, they seem to have been listening to the fans. Albeit, they have said that she won’t use her iconic dual pistols, again. 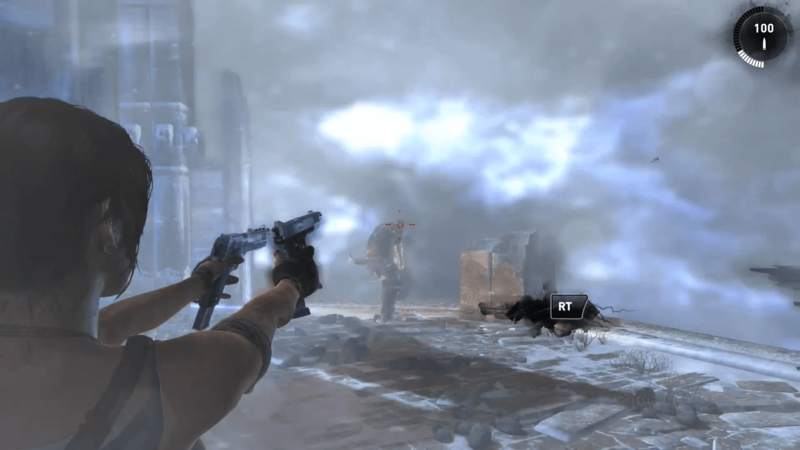 It looks underwhelming, but to be honest, they could be possibly be misleading us, and we might be able to see Lara wield the iconic pistols near the end, who knows. At E318, we were shown more than just a cinematic cutscene, and we were treated with the gameplay of this latest installment. This final chapter of Lara’s origin has been taken over by Eidos Montreal and new lead writer Jill Murray. However, the change of developers has not made this entry the less exciting. “Why should I be excited?” You are probably asking. Before I go on, I want to congratulate you because, at this point, you probably either skipped the first few paragraphs or just want to know why. So here you go. One of the best aspects of this new trilogy is that every installment offers an entirely different location to explore. From an isolated island to the cities of South America, each game grows bigger in scope. Here we will see Lara travel to Cozumel Mexico and Peru which is a callback to the numerous games beforehand that have taken place in these two places. Peru is a significant locale in both the 1996 game and the Tomb Raider: Legend. In fact, Crystal Dynamics was also in charge of Tomb Raider: Legend which was the first attempt to reboot the series. Although Crystal Dynamics now play more of a supporting role in the making of this game, the locales look no less exceptional. The fact that part of the game takes place in Mexico and it is during the “Dia de Los Muertos” celebration that makes me glee with excitement. Hopefully, Lara gets to take a bite out of a delicious carne asada taco before the apocalypse begins. One of the most disappointing things was that the second game was an Xbox timed exclusive. The Tomb Raider franchise is widely known to have debuted on the PlayStation consoles. It followed that pattern, with following installments becoming multiplatform and not pushing aside its original platform. Being the owner primarily of PlayStation consoles, it broke my heart when I saw its timed exclusivity. Sure, the game would later come out for PlayStation, but as a gamer you know it’s hard to resist spoilers. Including the temptation to want to play a game as soon as it comes out. I was intrigued by the cinematic trailer that they had debuted at their conference in E32014. Adding a track from the soundtrack of the movie “A Beautiful Mind,” composed by the late James Horner, only added to the epicness of the trailer. Not only was the timed exclusive heart-breaking, but also detrimental to the opening sales of the game. Adding to that, it released the same day as Fallout 4, another most anticipated game at the time. The moment Shadow of The Tomb Raider released its official teaser trailer, I was nervous. Would it also be timed exclusive? However, once the trailer ended, I saw that Square Enix had learned not to make this a timed exclusive. The game is coming out for both the PlayStation 4 and Xbox One, as well as for PC. It’s exciting because now everyone will get the same versions and experience the game at the same time. 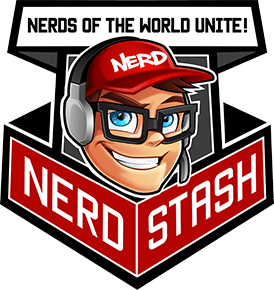 This new reboot is apparent that it does not want to veer away from its usual gameplay, with an emphasis in stealth. It makes sense if it’s not broken, why fix it? What made me fall in love more with Rise of The Tomb Raider, was the improved system. Lara could now rope swing in the semi-open hub spaces that are also a new addition. Best of all they introduced swimming. In fact, according to the developers swimming will play a more prominent role and be less restrictive. Talking about rope swing, as seen in the trailer you can now wall-run, which was a significant mechanic in pre-reboot games. What’s more is that this time threats are not only the usual soldiers hunting for Lara but also the animals. Since the game is set in a jungle, there are jaguars and even eels that you have to avoid when you are swimming around. We are probably never going to see a remade T-Rex battle Lara, but the fact that we now have to be cautious about something other than soldiers, it’s exciting. 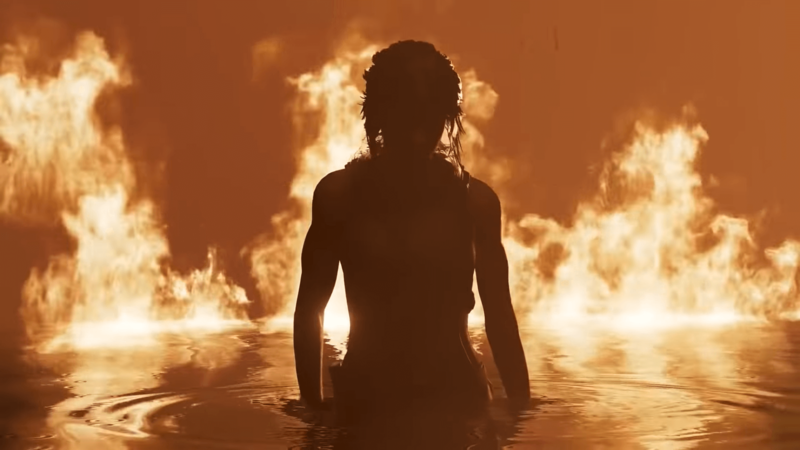 What bothered me the most about this new Lara is that despite the developers wanting to make her more humane, she just seemed oblivious to the numerous killings she did. Just minutes later after her first kill back in Tomb Raider, she was dropping bodies dead left and right. What makes this intriguing is that this time, Lara might seem to be the one to blame everything for. Her obsession drove Jonah to almost die in the second installment. Only because she had a Jesus-like guy by her side, was Jonah able to survive. Now, this game promises we will delve into her guilt of causing all these deaths happening around her. She is the one hunting her opponents with vicious killing moves. It does make me wonder if the antagonist is after all wrong. 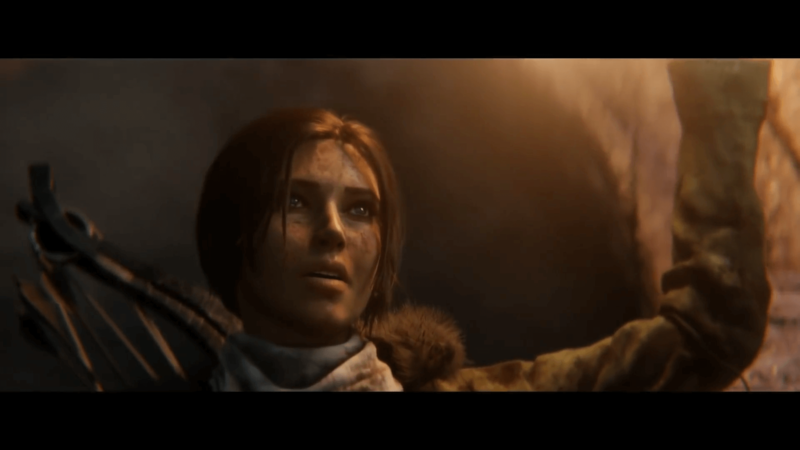 In fact, we see Lara’s obliviousness in taking a liking to killing in the very end of Rise of The Tomb Raider. She, or rather you, needs to either spare Constantine or shoot him plain dead. Meanwhile, he rambles about how her father was incompetent and a fool. If you choose to kill him, she does it with no remorse. Well, if you made it this far, then double congrats. Hopefully, the game does not disappoint, according to an interview with gamesindustry.biz, Anfossi stated that the game had cost around 75 million to 100 million to produce. That is a hefty amount of money thrown around for the game not to sell well. Nevertheless, I am excited and open to what this game has to offer. Share your thoughts and comments below! Are you excited about the game? Did you ever care about Tomb Raider? What was your favorite moment of the Tomb Raider franchise? 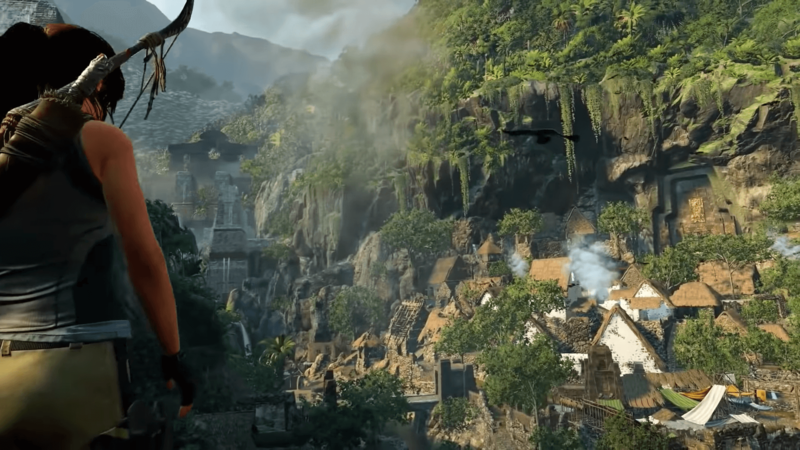 Will Lara get a chance to taste a real taco in Shadow of The Tomb Raider? Annette is a Mexican/American writer born and raised beside the beaches of San Diego, California. Mention any video game, and she won’t stop gushing about her favorite titles. Proud owner of a black cat and lover of chocolate chip cookies. Follow me back on my social media to see what I am up to every day! 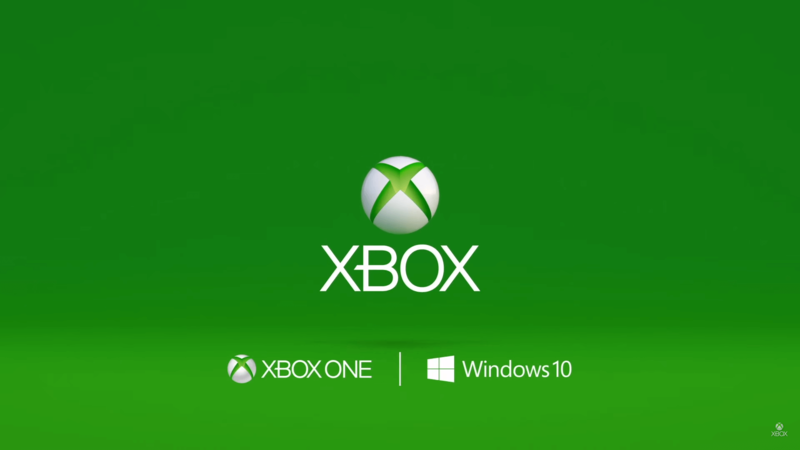 Is Xbox One Getting a New Controller?